Bass Camp Festival IV Lineup Announced! 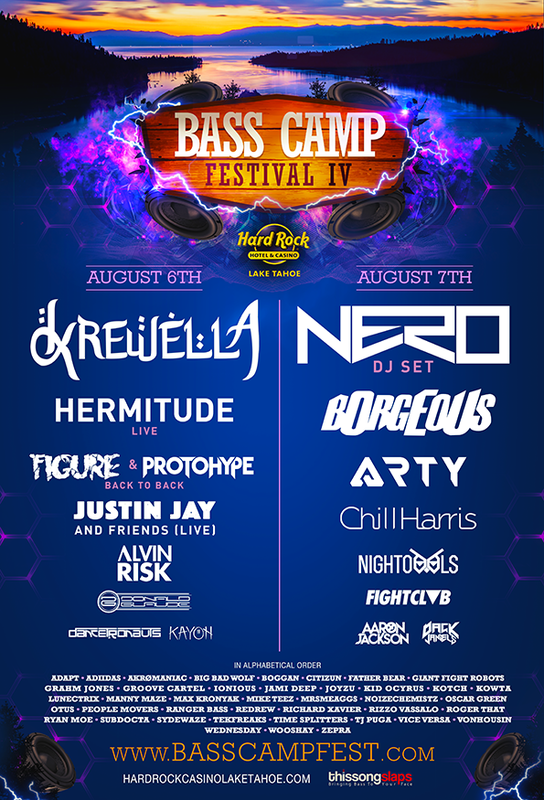 Bass Camp Festival returns for its 4th summer on August 6th & 7th at the Hard Rock Hotel & Casino’s outdoor arena on the south shore of Lake Tahoe. 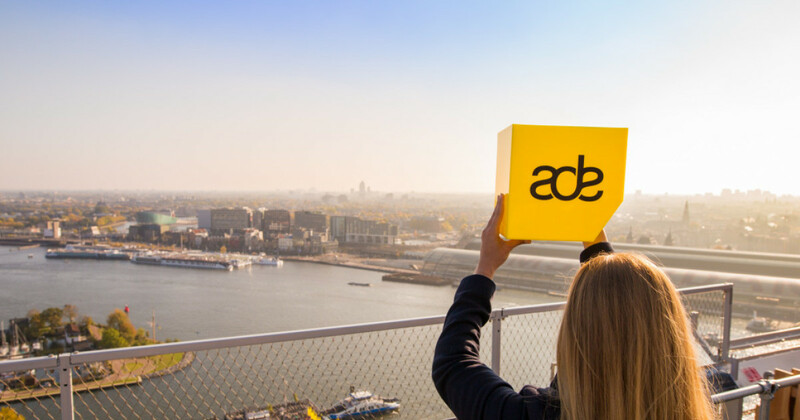 This year’s event will start on Saturday, August 6th with artists like Alvin Risk, Justin Jay & Friends Live, Figure b2b Protohype, Hermitude [live], and Krewella. The 2 day festival ends on Sunday, August 7th with Chill Harris, Arty, Borgeous, and Nero [DJ set]. New for Bass Camp Festival 2016 is an artist paint wall, a vendor village, shade structures and sails, a chill-out field, and a silent disco. The festival will also return with three stages and theDancetronauts with their “Bass Station” sound ship. The doors open at 4pm and close at 11pm at the all ages event. General admission passes to the 2 day festival are $129.00 in advance, or $159 the day of if available. VIP tickets for the weekend are available for $199 and include a Bass Camp Festival t-shirt, main stage viewing area, an outdoor lounge, private restrooms and bar. Tickets can be purchased here! 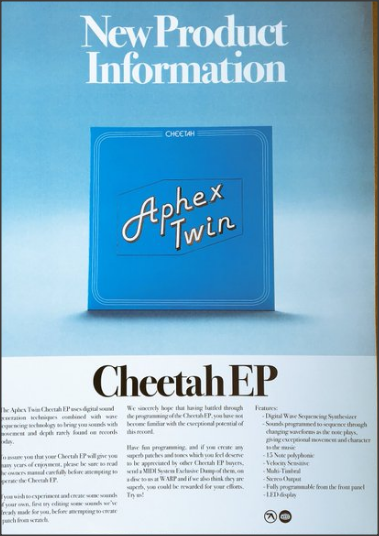 Next Deadmau5 to play club show in NYC on July 27th! 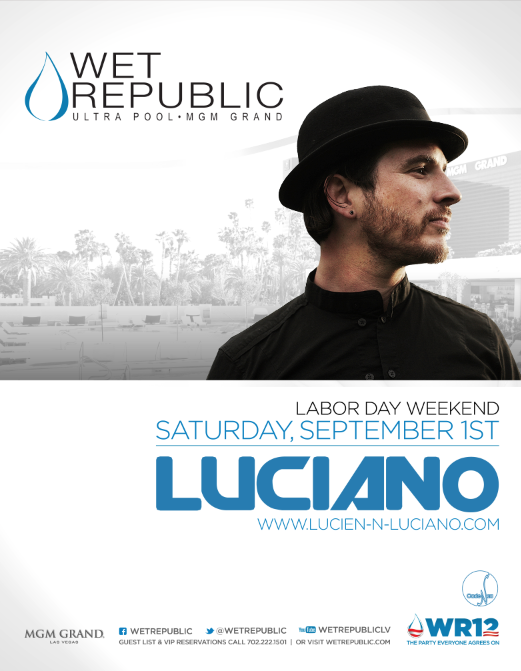 Luciano playing Las Vegas for Labor Day weekend! 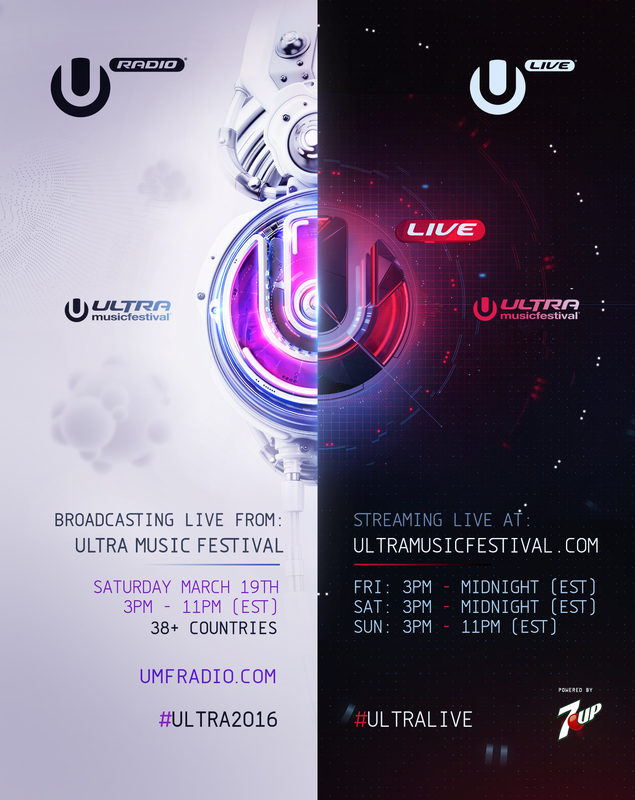 Watch Ultra Music Festival live online this weekend!